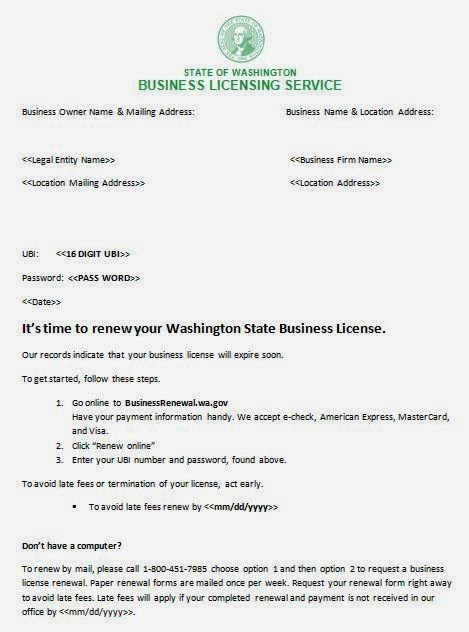 As of June 2014, profit corporation and limited liability company annual report notices and most business license renewal forms in the state of Washington will be replaced with a letter instructing the entity to renew online. If a paper form is needed, there will be instructions in the letter for how to obtain one through an automated phone system. The purpose of this change is to increase online filings. Below is a sample of this notice.